Skipper strongly believes in playing a positive role in development of the local community where it operates its manufacturing facilities. Under the Corporate Social Responsibility (CSR) initiative of SkipperSeil Group, Skipper Electricals India Ltd. organized a Free Generic Health Camp, to benefit the village community of Milakpur in Bhiwadi, Rajasthan, a village at a distance of 5 km from Skipper’s Bhiwadi Plants. The Camp was organized on 30th September, 2014 at the Office of Educational Society, Govt. School, Milakpur. The primary objective of the Camp was to reach out to the village community in this surrounding area of the Plants and to deliver free consultation to the local population by experienced doctors. 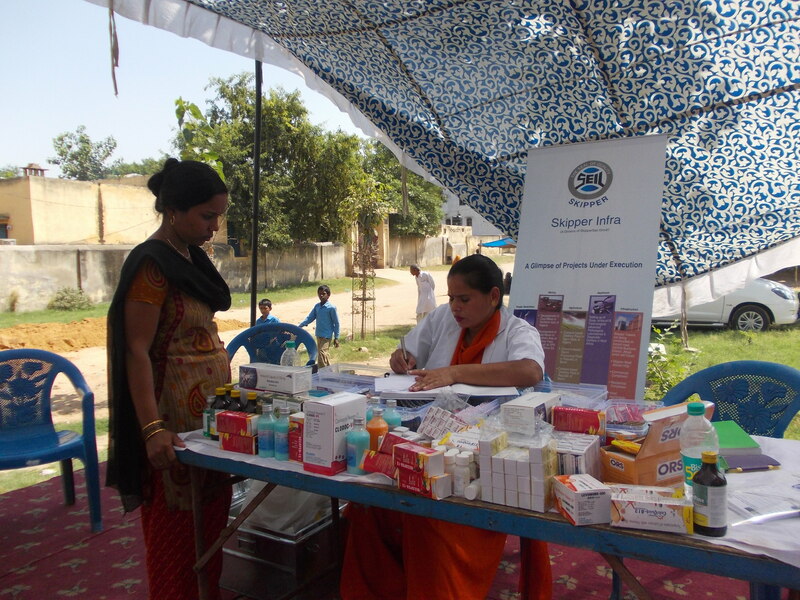 Another objective of the Camp was to provide health awareness to the community. In a span of 4 hours, around 200 patients benefited from the Camp and patients with seven to ten days’ worth of medicine. Food and beverage packages were also distributed to the visitors. The village community welcomed this initiative in a big way and appreciated the continuing efforts of Skipper to take an active interest in developing the area. Skipperites from the Bhiwadi Plants volunteered enthusiastically to make this noble event a grand success. We are thankful to the Office for Assistant Superintendent of Police (Bhiwadi) for providing us with necessary administrative support.